Kirsten McCrea is a Canadian artist known for her collaborative art endeavours and patterned drawings. Her art has been exhibited internationally and has appeared in numerous publications, including Chatelaine, Juxtapoz (online), and the Montreal Gazette. She can often be found alongside a number of art collectives, including the drawing initiative En Masse (whose work was recently shown in the form of a massive installation in the Musée des Beaux Arts in Montreal). In 2008 she founded the affordable art subscription Papirmasse, which has sent over 20,000 art prints to people around the world for the low price of $5 each, including postage. Her painting series Hot Topic is an attempt to engage in a form of art-making that is not critical of dominant culture, but instead celebratory of alternative social movements. 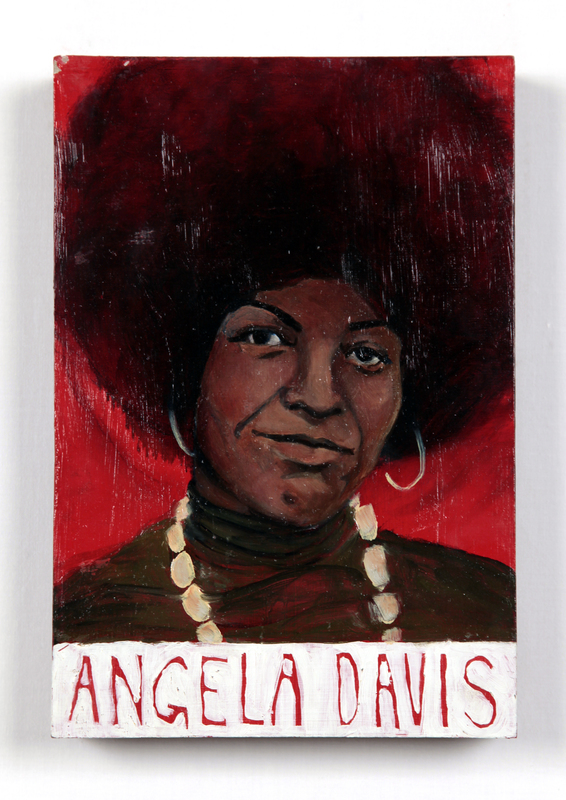 It is to-date comprised of 80 portraits of feminist icons, many of which have been suggested by visitors to www.hottopicproject.com.